Once the Wild Zoo Train loads up its riders, it pulls out of the station with some choos and some dings and a clickety-clack and a toot-toot and it embarks on an off-the-zoo-map adventure. The train ventures through a canyon to a jungle to a savanna to the Antarctic and beyond! Filled with train sounds and animals, The Wild Zoo Train will be a hit with toddlers and preschool age kids! 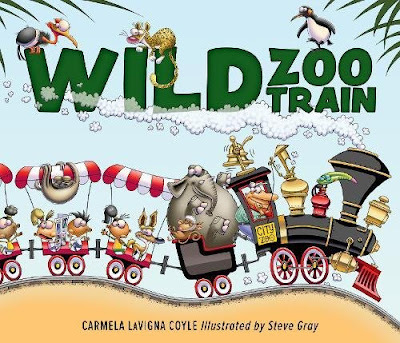 If you’re interested in reading Wild Zoo Train, you can purchase a copy here on Amazon.